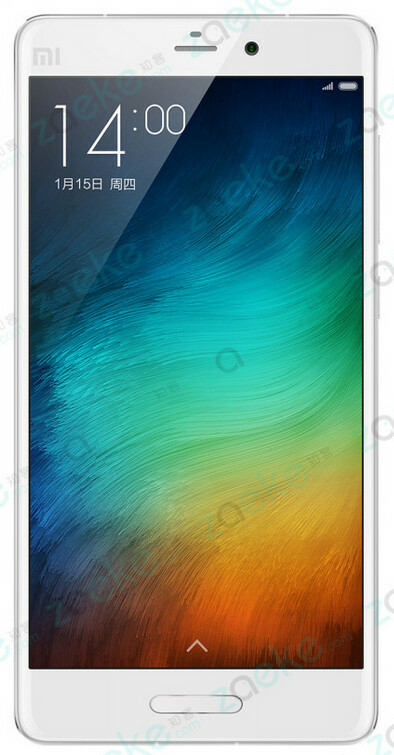 New render of the Xiaomi Mi 5 surfaces? Today a new set of renders have appeared, purportedly showing off the Xiaomi Mi 5. Right off the bat, we should point out that the the phone looks quite similar to the Xiaomi Mi Note except for the addition of the home button. The Mi 5 is rumored to carry a fingerprint scanner, which will probably be embedded inside the button. The latest rumored specs for the Xiaomi Mi 5 include a 5.2-inch screen with a 1080 x 1920 resolution. The Snapdragon 820 SoC is under the hood, containing a quad-core CPU and the Adreno 530 GPU. We expect to see two versions of the phone, one with 3GB of RAM and 32GB of internal memory. The other variant will come with 4GB of RAM and 64GB of native memory. A 16MP rear camera will be on board, and the Mi 5 should sport a Type-C USB port. The whole shebang will be powered by a 3600mAh battery. While we suggest that you take the image that accompanies this story with the proverbial grain of salt, we look forward to seeing an official release from the manufacturer. Xiaomi is said to be expecting heavy demand for the phone, and the long delay only increases the excitement and the buzz that surrounds it. Looks like a Note 5. Even the wallpaper looks like Samsung's. Wallpaper Looks like same one from Mi4i's. This design looks uninspiring. This year's galaxy note and galaxy s6 design were great Imo. This looks nothing special just the same old same old one. This wallpaper was introduced with Xiaomi Mi Note.... although whatever the home button looks like, i really like the render..
Its clearly visible, its a photoshopped xiaomi mi note pro. Xiaomi design is getting to look boring. With plans to expand for search of growth, they are not able to do blind copy too in fear of law suits for design theft outside China. Seems the bad phase is creeping in faster than expected. Yeah.. In search for expansion they haven't released anything worthy in my country India which they spoke as second most important after china but they are all mere word but no actions. After sale services of xiaomi in India is kinda pathetic. Still best of luck and hope they change their strategy to benefit both customers and company overall. Yes, I heard so. Xiaomi if they want to keep the success graph go upwards have to do something more drool worthy design change so that the customers who are moving up to the next level can be satisfied. Another issue is the customer service. "says that the Mi 5 is well worth waiting for." Yeaah right....that design is to die for. And they need almost 2 years to come up with that design. And they want to charge more this time to improve their image as "premium" product. Very funny. Either Lei Jun has bad taste, or he drinks too much.